Getting ready for a trip doesn’t have to be a long, involved process. A little creativity and planning can make packing relatively painless with everything you need right there when you need it. Start by eliminating what you know you will not need. If you are going to Hawaii you can probably skip the parka. If you are heading to Alaska you can probably leave the suntan lotion at home. Here are a few female travel tips to help you get ready for your trip, including a general list of items that should be on your packing list. • Bras – Take a few comfortable bras. Your main goal when traveling is comfort. In a pinch you can use your bikini top. Just remember to tuck the straps in at the neck and you are all set. • Personal care items – This includes a hairbrush, comb, toothbrush, toothpaste, deodorant or talcum powder, razor, eyeglasses, contacts and related supplies, dental floss, eye mask, hand sanitizer and anything else you use on a daily basis. • Feminine hygiene products – If you are traveling within the United States, you are fine. You can get whatever you need wherever you travel. However, if you are traveling overseas, you should be prepared since products vary in style and design in other countries. Make a list of what you will need based on the number of days of your trip. 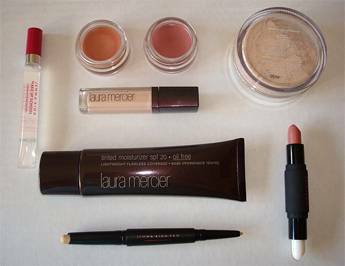 • Makeup Basics – Unless you are going to compete in the Miss America pageant, you do not need an entire suitcase of makeup. Take the basics such as lipstick, lip gloss, mascara, eyeliner, blush and small mirror. Most of these items can fit in a compact cosmetics bag. • Body essentials – A small bottle of shampoo and conditioner, soap, moisturizer and sunblock are the basics here. These can be placed in a Ziploc bag to save on space while keeping everything in one place. As long as you are at it, take a few extra Ziploc bags and some rubber bands to keep things reasonably organized so you can find stuff easily, plus the rubber bands can be used for your hair for a quick fix. • Condoms/birth control – Even if you do not expect getting lucky, it doesn’t hurt to be prepared. • Underwear – Most travel guides say 2-3 pair, but realistically you should take enough underwear for about a week. You are not going on Survivor so there is no need to skimp on comfort. Underwear can be rolled up so that it takes up less space in your suitcase or travel bag. Your choice of clothing depends on where you are going, but the general rule of thumb is to plan for all possibilities. What you pack the most of will depend on the purpose of your trip, but there are some basics that you can get you through almost any trip. Yes, you are supposed to be getting away from it all and taking a break from the pressures of the outside world. However, there are going to be some modern world conveniences you will need to make things easier and safer for you as you travel. • Plug adapter – This comes in handy for your laptop or phone. • Pens – You may want to send some postcards back home. • USB key – If you are traveling for business, this is a good way to keep copies of your important papers. • Music – There will be moments when you have nothing to do and want to hear some music, take your iPod or mp3 player. 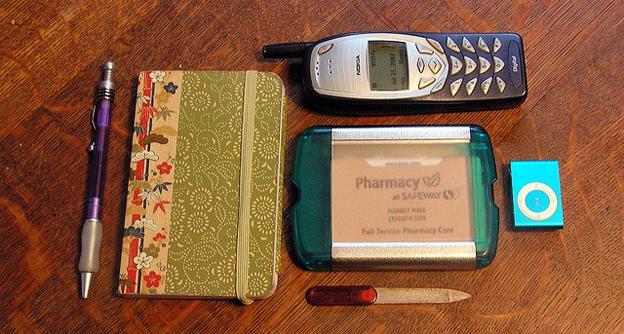 • Cell phone – You never know when you will need or want to get in touch with someone. Make sure you bring phone cards and your charger too. If you have an iPad or other similar device, go ahead and bring that too. The only thing left is to have fun. Being prepared for travel may take some of the spontaneity out of travel, but you will be glad that you took the time to get ready when one of those “unexpected” moments pops up on your trip. Finally, and this is the most important part, relax and have fun! Katelyn, the author of the “Packing Women`s Essentials for Travel ” is a copywriter for Julianna Rae, a maker of luxury silk women’s nightgowns.